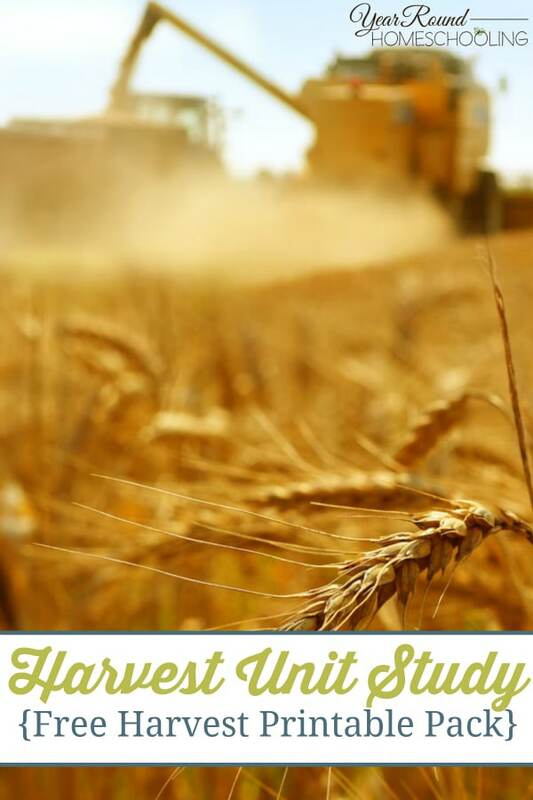 As the weather cools, it’ll be time for farmers to start harvesting the crops. We live in the South, so we see a lot of crop fields around, especially those used for growing cotton and corn. 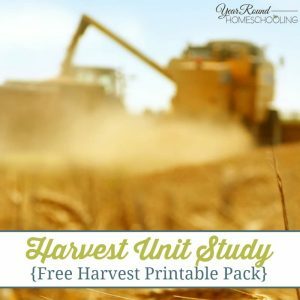 Here are some resources to help you put together a harvest unit study with your kids! 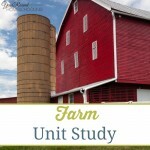 This unit study includes writing, science, math, reading, and geography, but you can always add more subjects as you choose. 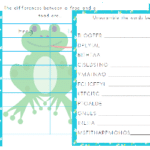 Be sure to ask them which fruits and vegetables are their favorites! If there are some on the list that you haven’t tried, pick one and try to cook it as part of a meal this week.